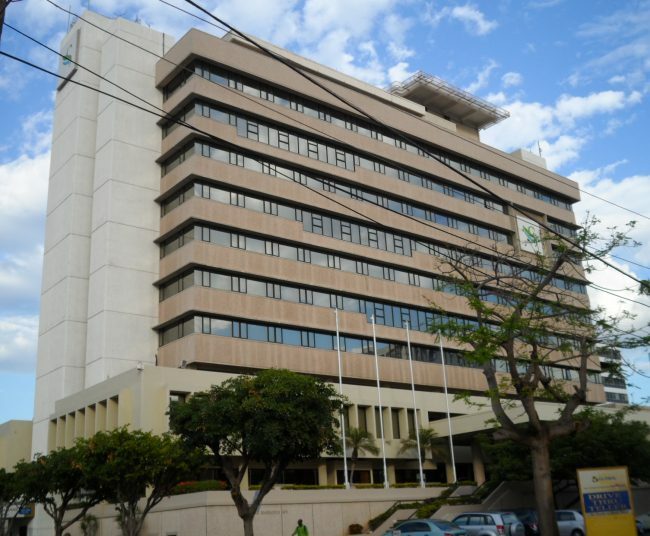 Sagicor Group traded 5m shares on the JSE main market on Friday. 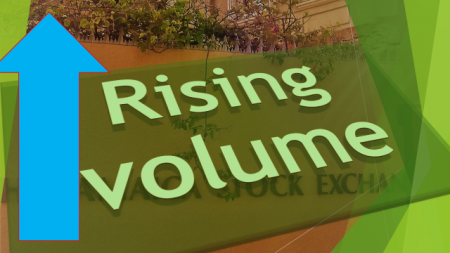 Sagicor Group jumped to $45 at the close of the market for the past week, from $38.15 and CAC 2000 climbed to $12 from a $10 bid to exit IC Insider.com’s TOP 10 stocks. Investors responded to the release of Sagicor’s 2018 full year results showing earnings of $3.65 per share, pushing the price higher while CAC price dropped too far at the end of the previous week and encouraged buying that pushed the price higher this week. 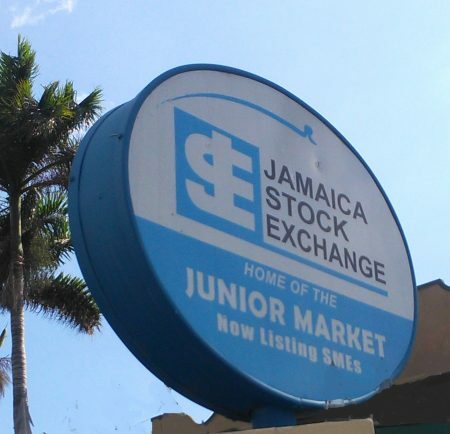 Making way for the stocks moving on are, Sygnus Credit Investments in the main market and Lasco Manufacturing entering the Junior Market list. Several Junior Market stocks suffered losses this past week, as the market pulled back more than 9 percent for the year to date up to Wednesday and created greater potential gains for a number of stocks. The three leading Junior Market stocks for the coming week are Caribbean Producers with projected gains of 246 percent, Elite Diagnostic with potential gains of 245 percent and Iron Rock with potential gains of 243 percent. 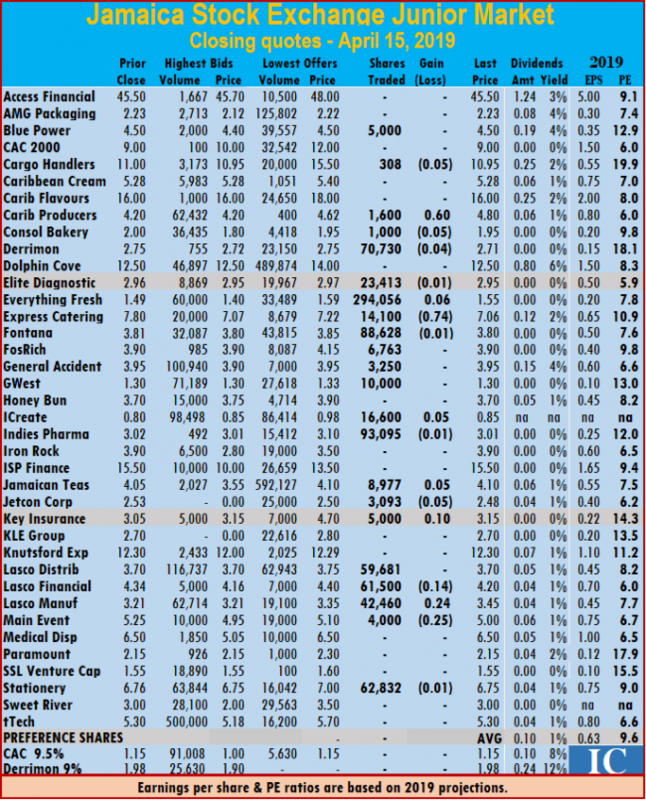 Victoria Mutual Investments is now the top Main Market stock with 163 percent likely gain, followed by Radio Jamaica with 161 percent and Sterling Investments with potential to gain 153 percent. Wigton Windfarm, Jamaica’s latest initial public share offer that came to the market this past week remains at number 4 position on the stock list. The stock comes to the market at 50 cents per share and boast a PE of 8.3 times based on normalized earnings for the year to March 2019. 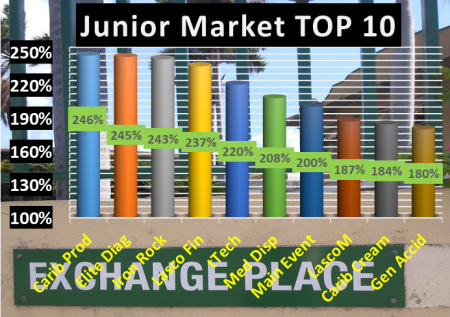 The main market, closed the week with the overall PE at 13 and the Junior Market at just 10. 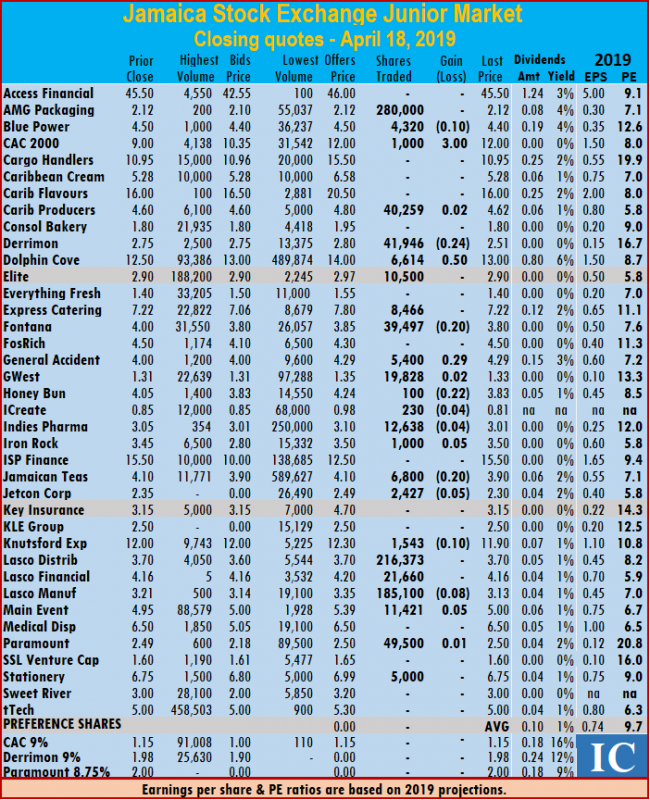 The PE ratio for Junior Market Top 10 stocks average 6.3 and the main market PE is now 8.3. These levels, point to the huge upside for the TOP 10 stocks over the next 12 months. 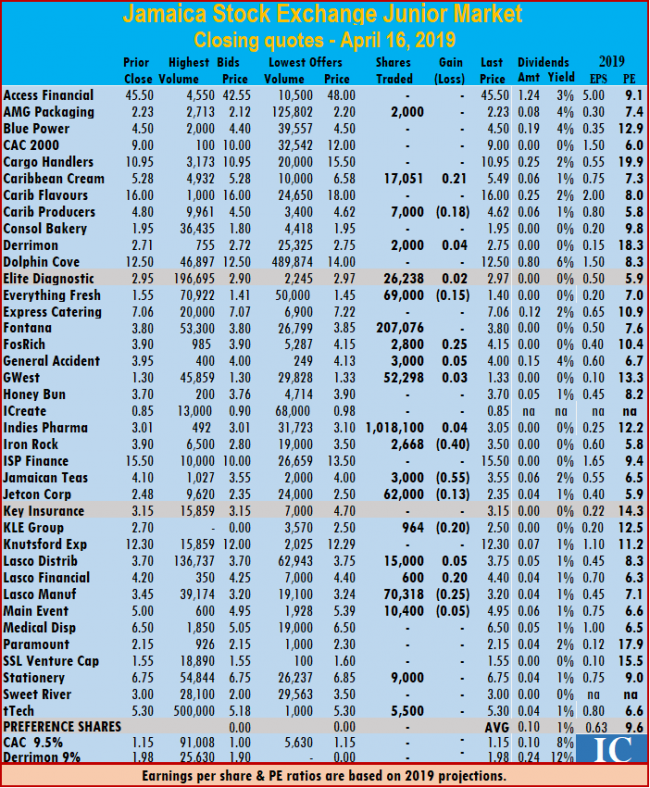 The TOP 10 stocks now trade at an average discount of 36 percent to the average for the Junior Market Top stocks and main market stocks trade at a discount of 37 percent to the overall market. 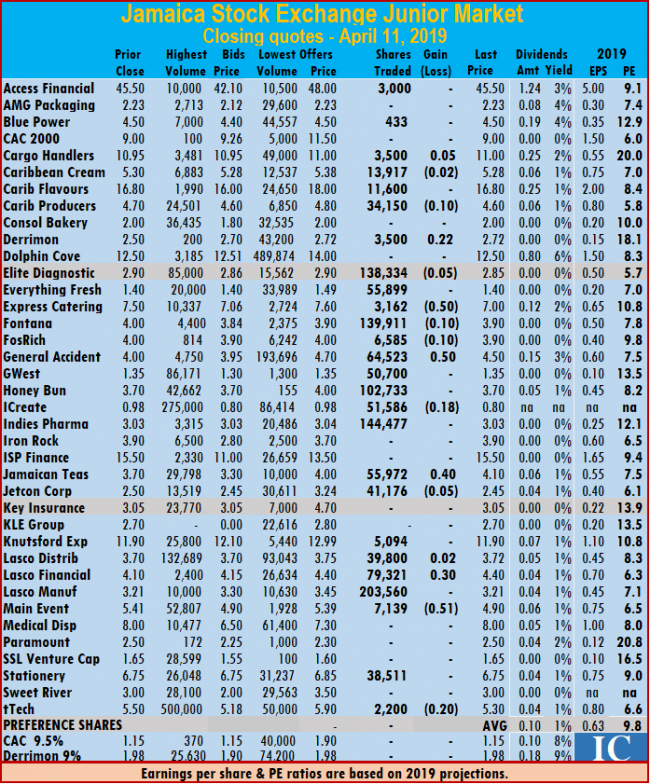 TOP 10 stocks are likely to deliver the best returns within a 12 months period. 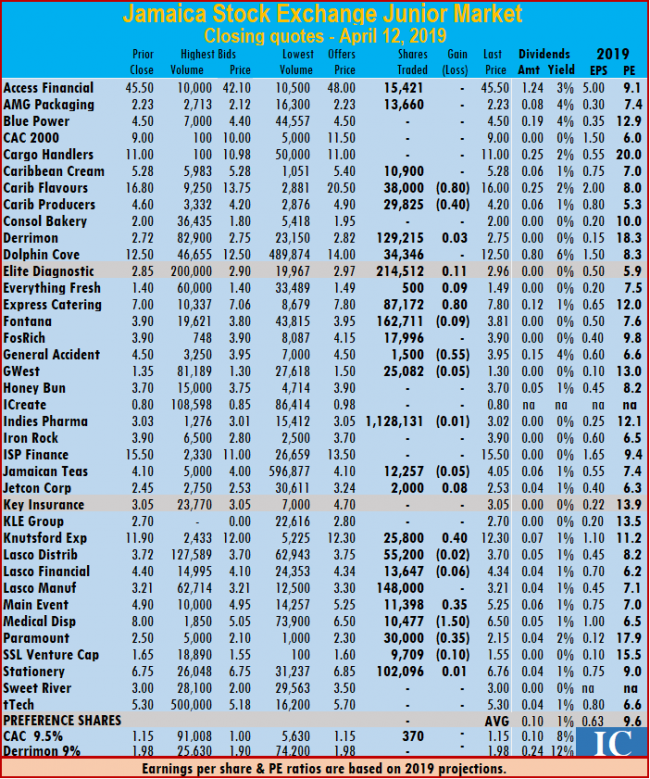 Projected earnings, for each company’s current fiscal year, are used in determining, the selected stocks. 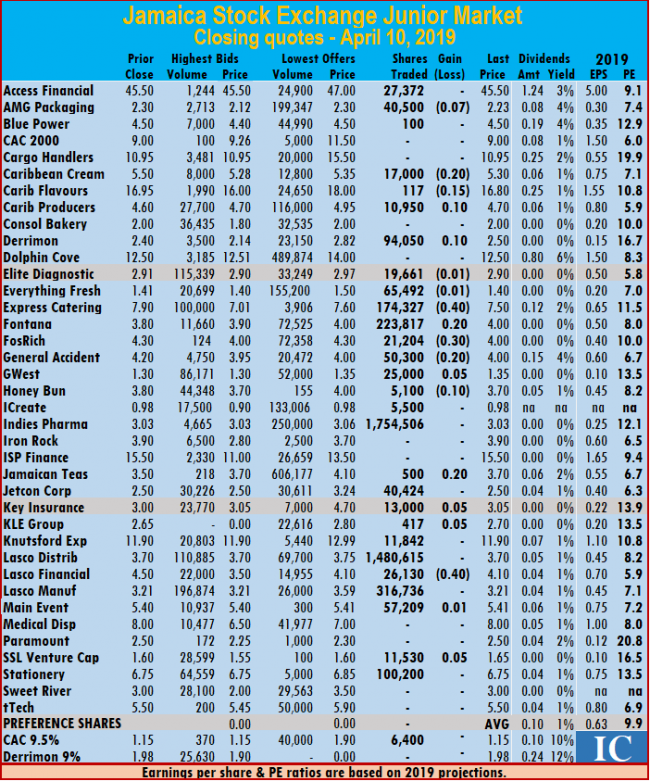 The PE for and projected earnings for each stock are computed to show potential gains for the year, which are ranked in descending order. Potential values will change as stock prices fluctuate and will result in movements of the selection in and out of the lists for most weeks. Earnings per share are revised on an ongoing basis as new information is received that can result in changes in and out of the list. 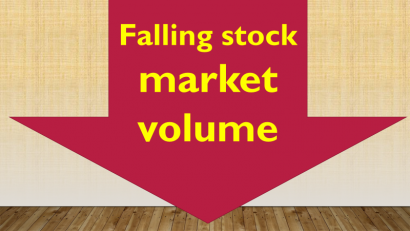 This report is compiled by persons who may have interest in the securities commented on. 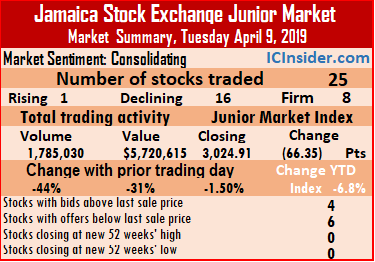 The Junior Market of the Jamaica Stock Exchange closed almost unchanged on Monday, with reduced trading levels. 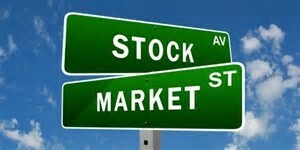 The market inched higher by just 0.93 points to 2,978.64. Investors exchanged 22 pushed securities down from 27 on Friday with prices of 6 rising 11 falling while 5 remained unchanged. IC bid-offer Indicator| At the end of trading, the Investor’s Choice bid-offer indicator reading shows 5 stocks ended with bids higher than their last selling prices and 2 with lower offers. Trading resulted in an exchange of 876,086 units valued at $2,653,927, compared to 2,329,925 units valued at $9,758,045, changing hands on Friday. Trading ended with an average of 39,822 units for an average of $120,633 in contrast to 86,294 units for an average of $361,409 on Friday. The average volume and value for the month to date amounts to units 100,553 valued $361,045 and previously 105,772 valued at $381,706 for each security traded. In contrast, March closed with an average of 195,942 shares valued at $777,498 for each security traded. At the close of the market, Blue Power concluded trading of 5,000 units at $4.50, Cargo Handlers settled with a loss of 5 cents at $10.95, with an exchange of 308 shares, Caribbean Producers finished trading of 1,600 units and closed 60 cents higher at $4.80. Consolidated Bakeries closed with a loss of 5 cents at $1.95, with 1,000 shares changing hands, Derrimon Trading ended with a loss of 4 cents at $2.71, in trading of 70,730 shares, Everything Fresh closed 6 cents higher at $1.55, with 294,056 stock units changing hands. Elite Diagnostic settled with a loss of 1 cent at $2.95, with 23,413 units passing through the market, Express Catering ended trading of 14,100 shares, with a loss of 74 cents at $7.06, FosRich Group traded 6,763 shares at $3.90, Fontana finished trading with a loss of 1 cent at $3.80, with 88,628 shares changing hands. General Accident closed at $3.95, with an exchange of 3,250 stock units, GWest Corporation ended at $1.30, while trading 10,000 units, iCreate gained 5 cents to close at 85 cents, with an exchange of 16,600 shares, Indies Pharma finished with a loss of 1 cent at $3.01, with 93,095 shares crossing the exchange. 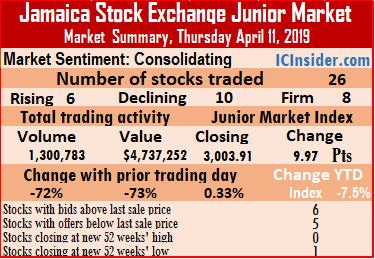 Jamaican Teas traded 8,977 units and rose 5 cents to close at $4.10, Jetcon Corporation finished trading 3,093 shares, with a loss of 5 cents at $2.48, Key Insurance closed 10 cents higher at $3.15, with the trading of 5,000 shares, Lasco Distributors closed at $3.70, with an exchange of 59,681 units. Lasco Financial settled with a loss of 14 cents at $4.20, with 61,500 shares changing hands, Lasco Manufacturing ended trading of 42,460 shares, with a rise of 24 cents to $3.45, Main Event traded with 4,000 shares and lost 25 cents to end at $5 and Stationery and Office concluded trading of 62,832 shares with a loss of 1 cent at $6.75. 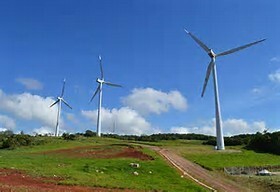 Wigton Windfarm, Jamaica’s latest initial public share offer that will come to the market this week, enters the number 4 position on the IC Insider.com’s TOP 10 main market stock list. The stock comes to the market at 50 cents per share and boast a PE of 8.3 times, normalized earnings for the year to March 2019. IC Insider sees no great change in earnings going forward, until the present generating capacity for electricity expands. 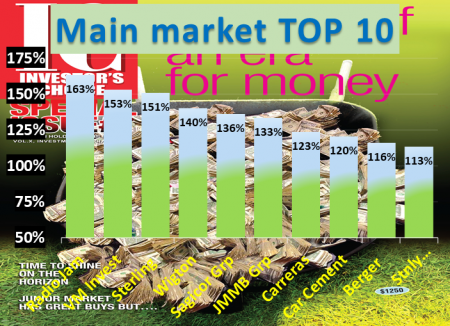 With a new entrant to the top main market stock list, Grace Kennedy is now out of the top 10. The coming to market of this latest IPO seems to be having a negative impact on stock prices as investors gather funds to invest in what is proving to be a very popular issue. Reports reaching this publication is that a number of brokerage houses saw heavy traffic of applicants to purchase Wigton’s shares on Friday. Several Junior Market stocks suffered losses this past week, as the Wigton IPO issue is about to open. Whether they are making a smart move or not will be known in a month or two. Caribbean Cream slipped in price to $5.29 and Medical Disposables fell from $7.50 to $6.50 and moved back into the Junior Market TOP 10. Everything Fresh moved to $1.49 from $1.41 at the close of the previous week and Jamaican Teas closed at $4.05, up from the bid price of $3.50 to move out of the top tier of stocks. 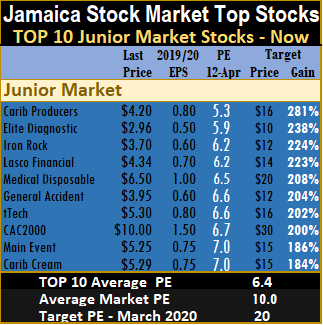 The three leading Junior Market stocks for the coming week are Caribbean Producers with projected gains of 281 percent, Elite Diagnostic with potential gains of 238 percent and Iron Rock with potential gains of 224 percent. 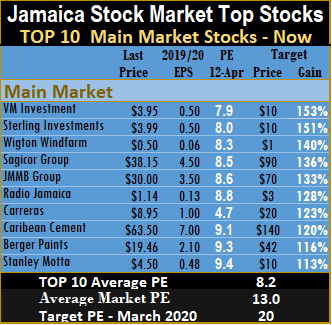 Radio Jamaica is now the top Main Market stock with 163 percent likely gain, followed by Victoria Mutual investments with 153 percent and Sterling Investments with potential to gain 151 percent. 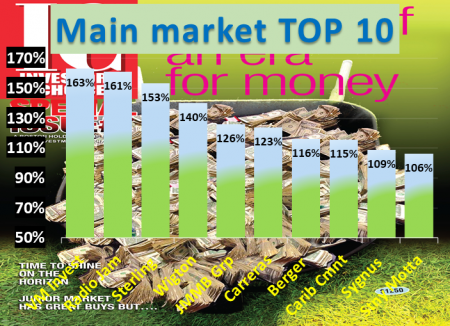 The main market, closed the week with the overall PE at 13 and the Junior Market at just 10. 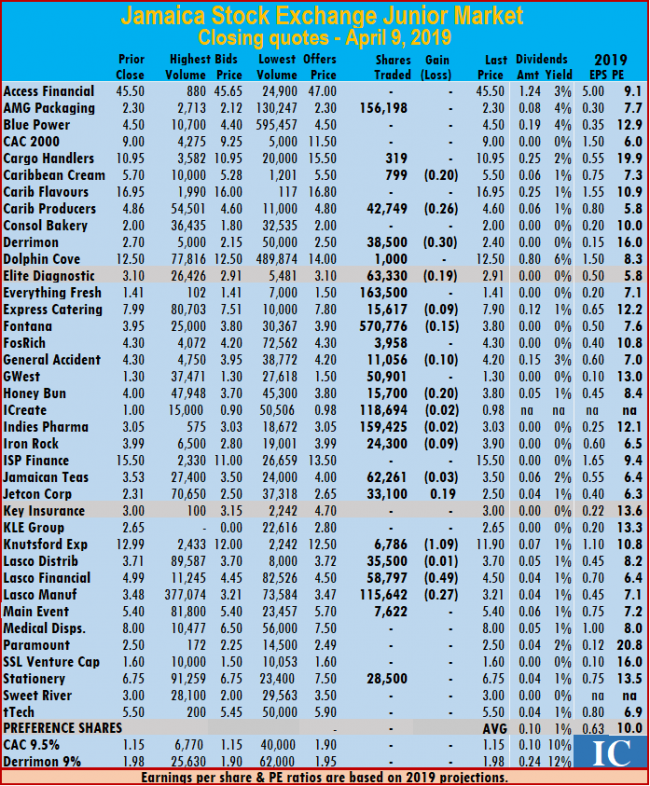 The PE ratio for Junior Market Top 10 stocks average 6.4 and the main market PE is now 8.2. These levels, point to the huge upside for the TOP 10 stocks over the next 12 months. 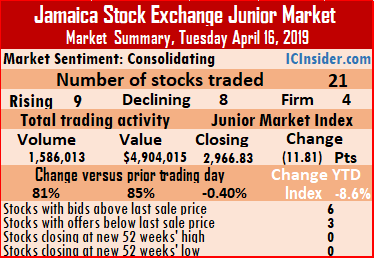 The Junior Market of the Jamaica Stock Exchange declined on Friday, pulling the market down by 93.35 points for the week, with the index fallen by 8.3 percent for the year to date. Investors exchanged 27 pushed securities down from 26 on Thursday and pushed prices of 12 down while moving 8 higher and left 6 unchanged, leading to the market index to decline 26.20 points to close at 2,977.71. IC bid-offer Indicator| At the end of trading, the Investor’s Choice bid-offer indicator reading shows 4 stocks ended with bids higher than their last selling prices and 3 with lower offers. iCreate hits a low of 80 cents on Thursday. 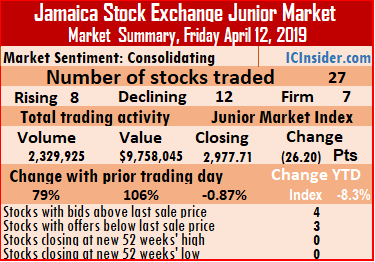 The Junior Market of the Jamaica Stock Exchange inched modestly higher on Thursday, following two days of above normal levels of decline. Investors exchanged 26 pushed securities down from 29 on Wednesday and pushed prices of 10 down while moving 6 higher and left 10 unchanged, leading to the market index gaining 9.97 points to close at 3,003.91, down 7.5 percent for the year to date. IC bid-offer Indicator| At the end of trading, the Investor’s Choice bid-offer indicator reading shows 6 stocks ended with bids higher than their last selling prices and 5 with lower offers. Trading resulted in an exchange of 1,300,783 units valued at $4,737,252, compared to 4,599,999 units valued $17,666,220 changing hands on Wednesday. Trading ended with an average of 50,030 units for an average of $182,202 in contrast to 158,621 units for an average of $609,180 on Wednesday. The average volume and value for the month to date amounts to units 108,069 valued at $384,099 and previously 115,502 valued at $409,958 for each security traded. In contrast, March closed with an average of 195,942 shares valued at $777,498 for each security traded. At the close of the market, Access Financial closed at $45.50, with an exchange of 3,000 shares, Blue Power concluded trading with 433 units at $4.50, Cargo Handlers gained 5 cents to at $11, with 3,500 shares passing through the market, Caribbean Cream ended trading of 13,917 shares and lost 2 cents to close at $5.28. Caribbean Flavours traded 11,600 stock units at $16.80, Caribbean Producers finished trading with 34,150 units, and fell 10 cents to $4.60, Derrimon Trading ended 22 cents higher at $2.72, with 3,500 shares clearing the exchange, Everything Fresh finished at $1.40, trading 55,899 stock units, Elite Diagnostic settled with a loss of 5 cents at $2.85, with 138,334 units changing hands. Express Catering ended trading with 3,162 shares, after falling 50 cents to close at $7, FosRich Group exchanged 6,585 shares, with a loss of 10 cents at $3.90, Fontana finished trading 139,911 shares, with a loss of 10 cents at $3.90, General Accident closed 50 cents higher at $4.50, with an exchange of 64,523 stock units. GWest Corporation ended at $1.35, with 50,700 units changing hands, Honey Bun concluded trading of 102,733 shares, at $3.70, iCreate lost 18 cents to close at an all-time low of 80 cents, with an exchange of 51,586 shares, Indies Pharma finished at $3.03, trading 144,477 shares, Jamaican Teas traded with 55,972 units and rose 40 cents to close at $4.10. Jetcon Corporation finished trading of 41,176 shares, with a loss of 5 cents to close at $2.45, Knutsford Express traded 5,094 stock units at $11.90, Lasco Distributors finished 2 cents higher at $3.72, with 39,800 units clearing the exchange, Lasco Financial settled 30 cents higher at $4.40, with 79,321 shares changing hands. Lasco Manufacturing ended trading 203,560 shares at $3.21, Main Event fell 51 cents to close at $4.90, with 7,139 shares changing hands, Stationery and Office concluded trading of 38,511 shares at $6.75 and tTech settled with a loss of 20 cents at $5.30, in trading 2,200 stock units. The Junior Market of the Jamaica Stock Exchange declined further on Wednesday, following Tuesday’s big fall but with a more balanced advance decline ratio, with 158 percent greater volume and at 209 percent more value. Investors exchanged 29 securities, up from 25 on Tuesday, but pushed down prices of 10 while moving 9 higher and left 10 unchanged, leading to the market index dropping 30.97 points to close at 2,993.94, down 7.8 percent for the year to date. IC bid-offer Indicator| At the end of trading, the Investor’s Choice bid-offer indicator reading shows 3 stocks ended with bids higher than their last selling prices and 4 with lower offers. Trading resulted in an exchange of 4,599,999 units valued at $17,666,220 or 209 percent greater than $5,720,615 on Tuesday from 1, 785,030 units changing hands. Trading ended with an average of 158,621 units for an average of $609,180 in contrast to 71,401 units for an average of $228,825 on Tuesday. The average volume and value for the month to date amounts to units 115,502 valued at $409,958 and previously 108,316 valued at $376,754 for each security traded. In contrast, March closed with an average of 195,942 shares valued at $777,498 for each security traded. At the close of the market, Access Financial exchanged 27,372 shares at $45.50, AMG Packaging ended with a loss of 7 cents at $2.23, with 40,500 stock units changing hands, Blue Power concluded trading with 100 units at $4.50, Caribbean Cream ended with a loss of 20 cents at $5.30, with an exchange of 17,000 shares. 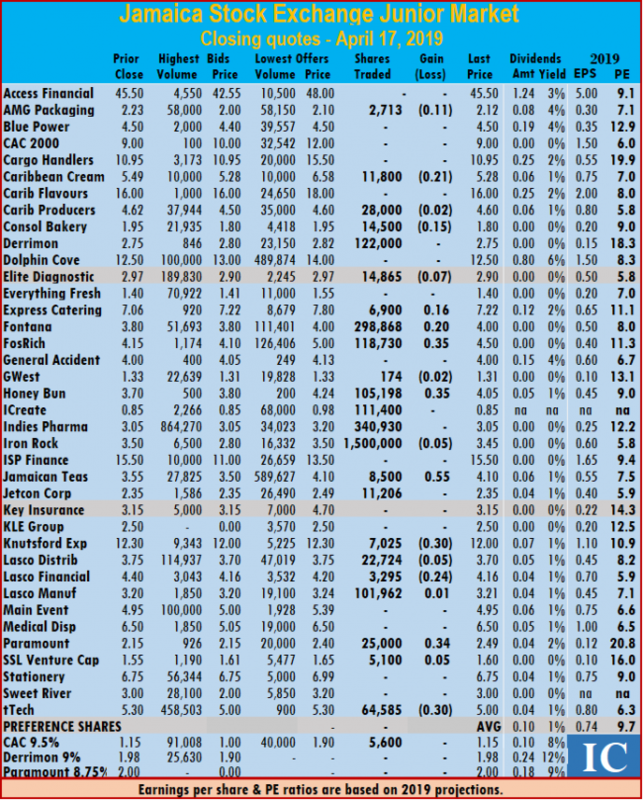 Caribbean Flavours lost 15 cents to close at $16.80, with 117 stock units crossing the exchange, Caribbean Producers finished trading 10,950 units, 10 cents higher at $4.70, Derrimon Trading gained 10 cents to end at $2.50, while 94,050 shares were exchanged. Everything Fresh finished with a loss of 1 cent at $1.40, with 65,492 stock units changing hands, Elite Diagnostic lost 1 cent to end at $2.90, with 19,661 units trading, Express Catering ended trading 174,327 shares, with a loss of 40 cents at $7.50, FosRich Group traded 21,204 shares with a loss of 30 cents in closing at $4. Fontana finished 20 cents higher at $4, trading 223,817 shares, General Accident closed with a loss of 20 cents at $4, with 50,300 stock units changing hands, GWest Corporation ended 5 cents higher at $1.35, with 25,000 units crossing the exchange, Honey Bun concluded trading of 5,100 shares, with a loss of 10 cents at $3.70. 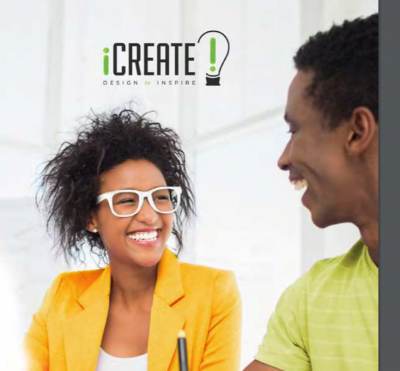 iCreate closed at 98 cents, with an exchange of 5,500 shares, Indies Pharma finished at $3.03, in exchanging of 1,754,506 shares, Jamaican Teas traded 500 units 20 cents higher, at $3.70, Jetcon Corporation ended trading of 40,424 shares at $2.50, Key Insurance closed 5 cents higher at $3.05, with 13,000 shares crossing the exchange. KLE Group ended 5 cents higher at $2.70, with an exchange of 417 shares, Knutsford Express concluded trading with 11,842 stock units at $11.90, Lasco Distributors closed at $3.70, as 1,480,615 units changed hands, Lasco Financial settled with a loss of 40 cents at $4.10, as 26,130 shares traded. Lasco Manufacturing ended trading of 316,736 shares, at $3.21, Main Event traded 57,209 shares, 1 cent higher to end at $5.41, SSL Venture Capital rose 5 cents higher to $1.65, trading 11,530 shares and Stationery and Office concluded trading at $6.75, with 100,200 shares passing through the exchnage. 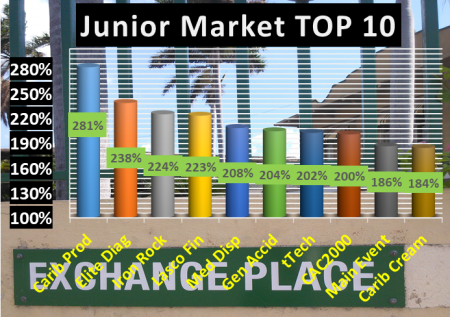 In the junior market preference segment, CAC 2000 closed at $1.15, with 6,400 shares changing hands. A sea of red covered the Junior Market of the Jamaica Stock Exchange on Tuesday as investors pushed down prices 16 securities with just 1 rising out of 25 trading, leading to the market index dropping a sharp 66.35 points, to 3,024.91. IC bid-offer Indicator| At the end of trading, the Investor’s Choice bid-offer indicator reading shows 4 stocks ended with bids higher than their last selling prices and 6 with lower offers, an indication that falling prices are likely to dominate again on Wednesday. The market appears to have reacted efforts by investors to raise funds to go into the Wigton Windfarm share offer, but they realized far less money than they did on Monday. 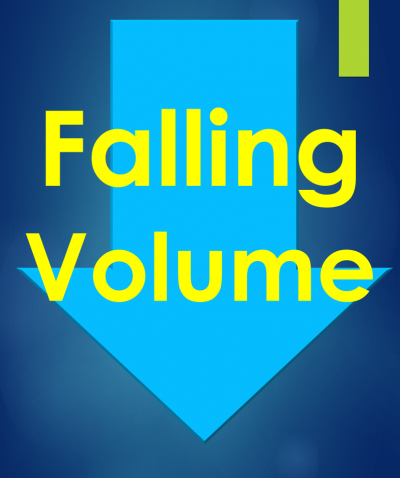 Trading volume fell from Monday’s level on resulting in an exchange of 1,785,030 units valued $5,720,615 compared to 3,199,174 units valued at $8,299,261 23 securities changing hands on Monday. Trading ended with an average of 71,401 units for an average of $228,825 in contrast to 139,095 units for an average of $360,837 on Monday. The average volume and value for the month to date amounts to units 108,316 valued at $376,754 and previously 114,510 valued at $401,574 for each security traded. In contrast, March closed with an average of 195,942 shares valued at $777,498 for each security traded. At the close of the market, AMG Packaging ended at $2.30, in trading 156,198 stock units, Cargo Handlers settled at $10.95, with 319 shares changing hands, Caribbean Cream traded 799 shares with a loss of 20 cents to close at $5.50, Caribbean Producers lost 26 cents in closing at $4.60, with an exchange of 42,749 units. Derrimon Trading fell 30 cents to close at $2.40, while trading 38,500 shares, Dolphin Cove concluded trading of 1,000 shares at $12.50, Everything Fresh finished at $1.41, with 163,500 stock units changing hands, Elite Diagnostic settled with a loss of 19 cents at $2.91, with 63,330 units. Express Catering traded 15,617 shares with a loss of 9 cents to end at $7.90. FosRich Group exchanged with 3,958 shares at $4.30, Fontana fell 15 cents to $3.80, with an exchange of 570,776 shares, General Accident closed with a loss of 10 cents at $4.20, in the trading of 11,056 stock units, GWest Corporation ended at $1.30, with 50,901 units changing hands. Honey Bun concluded trading of 15,700 shares after losing of 20 cents to close at $3.80, iCreate lost 2 cents and closed at 98 cents, with an exchange of 118,694 shares, Indies Pharma finished with a loss of 2 cents at $3.03, with an exchange of 159,425 share. Iron Rock lost 9 cents in closing at $3.90, with 24,300 shares changing hands, Jamaican Teas traded 62,261 units with a loss of 3 cents in ending at $3.50, Jetcon Corporation finished trading 33,100 shares for a rise of 19 cents to close at $2.50, Knutsford Express lost $1.09 to close at $11.90, with an exchange of 6,786 stock units. Lasco Distributors finished with a loss of 1 cent at $3.70, with 35,500 units changing hands, Lasco Financial settled with a loss of 49 cents at $4.50, exchanging 58,797 shares, Lasco Manufacturing ended trading of 115,642 shares, after falling 27 cents to close at $3.21, Main Event traded at $5.40, with 7,622 shares passing through the market and Stationery and Office concluded trading of 28,500 shares at $6.75.